Commander Sam Vimes of the Ankh-Morpork City Watch had it all. But now he's back in his own rough, tough past without even the clothes he was standing up in when the lightning struck...Living in the past is hard. Dying in the past is incredibly easy. But he must survive, because he has a job to do. He must track down a murderer, teach his younger self how to be a good copper and change the outcome of a bloody rebellion. 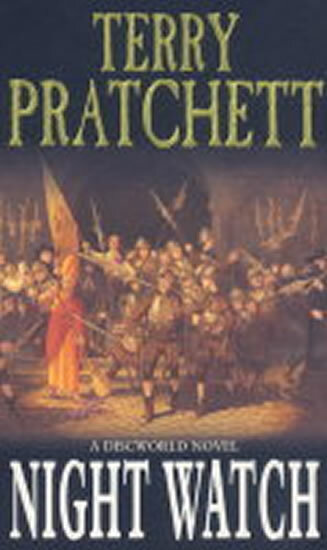 There's a problem: if he wins, he's got no wife, no child, no future...A Discworld Tale of One City, with a full chorus of street urchins, ladies of negotiable affection, rebels, secret policemen and other children of the revolution. Truth! Justice! Freedom! And a Hard-boiled Egg!